CIVIL WAR CHRONICLES (WT) tells the definitive story of one of the most extraordinary and bloodiest chapters in American history, told entirely from a soldier’s point-of-view. AHC’s all-new series uses the war’s most significant battles – Bull Run, Antietam, Chancellorsville, Gettsyburg, Battle of Atlanta and Petersburg – to illuminate both the bigger themes and revel in the smaller, little-known and surprising stories of this brutal, hellish conflict. Epic, emotional, immersive and action-packed, each of the series’ six episodes is completely dedicated to historical authenticity, telling the full scope of what happened at these key battles—regardless of outcome. Produced by Cream Productions. AHC explores the most noteworthy and notorious predictions of doom, examining the most widely-held beliefs of our imminent demise—from the technological, to the religious, to the ecological. HOW THE WORLD ENDS (WT) takes a closer look at the people, the science and the history surrounding each theory’s impending countdown to destruction—and their feasibility of actually coming to fruition. Produced by CMJ Productions II. This Veterans Day, American Heroes Channel (AHC) once again honors the men and women of the armed forces with the third annual DUTY, HONOR, COURAGE WEEK. Recognizing the selfless efforts of our nation’s veterans, DUTY, HONOR, COURAGE week features seven nights of AHC’s most patriotic programming, saluting the heroes who bravely served our country and defended our freedom. December 7, 2016 marks the 75th anniversary of the attacks on Pearl Harbor. AHC commemorates the occasion with four nights of programming exploring the events that precipitated the United States’ entry into World War II, anchored by the premieres of the epic feature film FROM HERE TO ETERNITY on Monday, December 5 and the all-new original special, PEARL HARBOR: THE HEROES WHO FOUGHT BACK (WT). This multi Academy Award®-winning feature film (1954) follows the lives and loves of three U.S. Army soldiers stationed on Hawaii in the months leading up to the attack on Pearl Harbor. Starring Burt Lancaster, Montgomery Clift and Deborah Kerr. 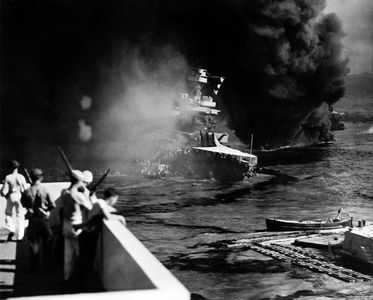 The bombing of Pearl Harbor thrust the United States into World War II—a bloody, costly battle from which it would not emerge for nearly four years. Now, on the cusp of the 75th anniversary of the events at Pearl Harbor, AHC explores the little-told stories of the heroes who turned this attack from a story of chaos and defeat, into a tale of valor and patriotism. Produced by 360 Production. Robert Gould Shaw leads the US Civil War's first all-black volunteer company, fighting prejudices of both his own Union army and the Confederates. A three-time Academy Award® winner (1990), GLORY will air as a lead-in for AHC’s all-new series, CIVIL WAR CHRONICLES (WT). Starring Matthew Broderick and Denzel Washington. Class is back in session! AHC’s breakout series is back for a second season with all-new episodes of fascinating forgotten stories that never made it into the textbooks—but that made an impact on our world today. High school teacher and history buff Joe Moniaci brings these lost histories and more to life as he travels the United States to speak first-hand with experts, visit landmarks and ultimately learn WHAT HISTORY FORGOT—from a pig that may have started a war to a group of fearless children who ignited the Civil Rights movement. Produced by Atlas Media. History as we generally know it is full of holes or half-truths, and a mother load of juicy details have been lost, distorted, covered up or simply ignored along the way. 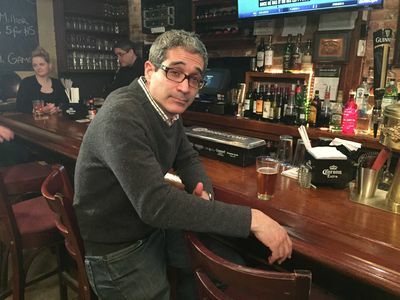 AHC’s longest running series is on a mission to set the record straight. Hosted by former Naval officer and comedian/actor Jamie Kaler, this series is a wake-up call about the surprising hidden facts behind the most familiar and beloved stories from our nation's and military’s past, filling in the blanks, debunking the occasional myth, and exploring why we sometimes get our own history slightly, well, wrong. Examining the past with a fresh perspective, AMERICA: FACTS VS. FICTION reveals that the 'story' of America is just that - and far more remarkable than we ever thought. Produced by Workaholic Productions, Inc.
From stone-age Hawaii to 16th-century Japan, from Ancient Greece to the Byzantine Empire, there have always been elite Special Forces - men trained to perfection, skilled with a devastating array of weaponry. Often fighting against overwhelming odds these are tales of long lost ancient heroes. ANCIENT ASSASSINS returns for an all-new season, bringing these events to life with a mixture of dramatic reconstruction, documentary filming and expert testimony. Produced and distributed by Parthenon Entertainment Limited Trading As Sky Vision. This brand new series explores some of the most secretive and dangerous global underworld societies. It's an explosive mix of hard-core gangs, fanatical religious groups, shady cults, esoteric societies and criminal fraternities, all of them seeking to gain control of our world. 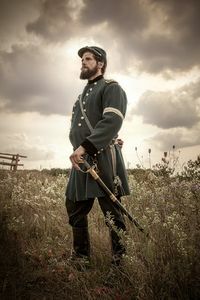 Produced by Like a Shot Entertainment Ltd.
AHC’s digital content extensions support the network’s commitment to the history genre, from the network’s very first foray into virtual reality with CIVIL WAR CHRONICLES (WT), to podcasts, to even more interactive quizzes, mega galleries and exclusive digital clips. AHC offers a piece of the past—on present technology.